Former members of Crucifix Sothira & Jimmy. Heavy Bass, Blasting Guitar, Pounding Drums & Screams of War, Peace, Love and Bad Relationships! 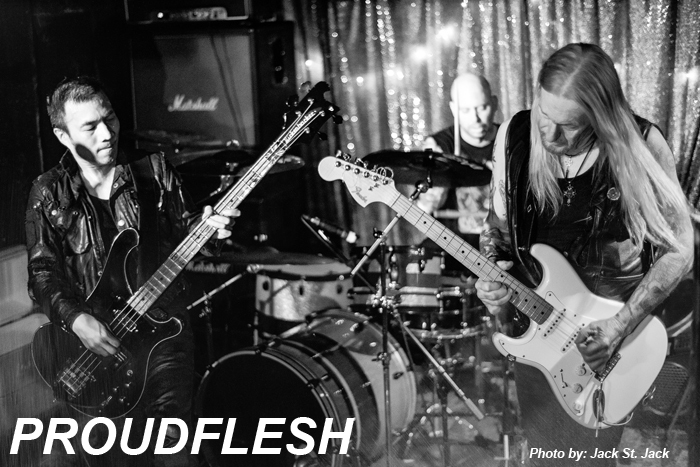 Pure Raw Rock and Roll Chaos on Fire from the former ashes of Crucifix! Formed by Sothira in the mid eighties after Crucifix by Sothira / Bass & Voice, Jimmy /Guitars & Tony Short on Drums featured on the debut EP Powerbroker. 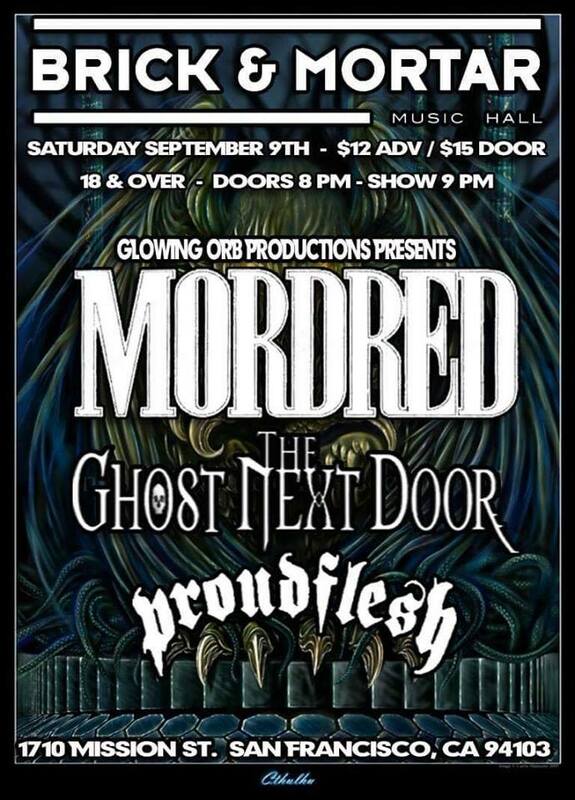 Proudflesh played throughout the 90's with a break and reformed in the early 2000's. Proudflesh recorded a new self titled release with Erik Lannon on drums. Proudflesh Toured Japan with Erik Lannon & Toured Germany in 2007 with Luke Bowman from The Ruffians on drums. to the Loving Memory of his Mother. to the Loving Memory of his Father.